This year’s ‘tools issue’ is a great oppurtunity to question the project’s tools. According to our beliefs, our means and budget, we decided to try different tools than the usual ones, most of them being open source. This website uses the great font ‘Montserrat’, created by Julieta Ulanovsky, shared under SIL Open Font License, 1.1. Learn more about it and get it here. Meteor is a framework making it easier to build websites with collaborative features. Here you can find our source code, on GitHub, a code host allowing you to easily share code. We’ve been trying to use Scribus as a lay-out software, but must admit we prefer working on Inkscape. 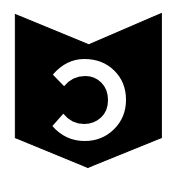 We’ll adress the lack of effective open software for book design during our toolbox workshops. Hopefully we’ll find leads for new solutions to be developped, and with them new ways of designing? Copyleft - this is a free work, you can copy, distribute, and modify it under the terms of the Free Art License.